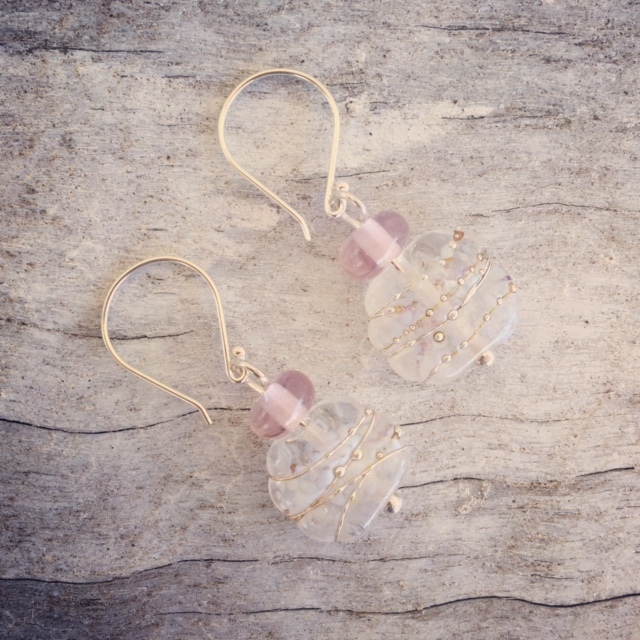 This pair of earrings is so pretty in pink! I made the main bead from a Fever-Tree tonic water bottle. The small pink bead was made from a pink Harlequin glass from a broken set. So pretty together. I’ve been having a lot of fun making earrings this week. I like how this combination of beads looks together too. The beads were made from a Hendricks Gin and Skyy Vodka bottle. I made a few Coopers Ale beads with gold leaf recently, and then thought I might add some “Peroni” green to them to match some of the recent necklaces that I have made. I really like how these earrings look. 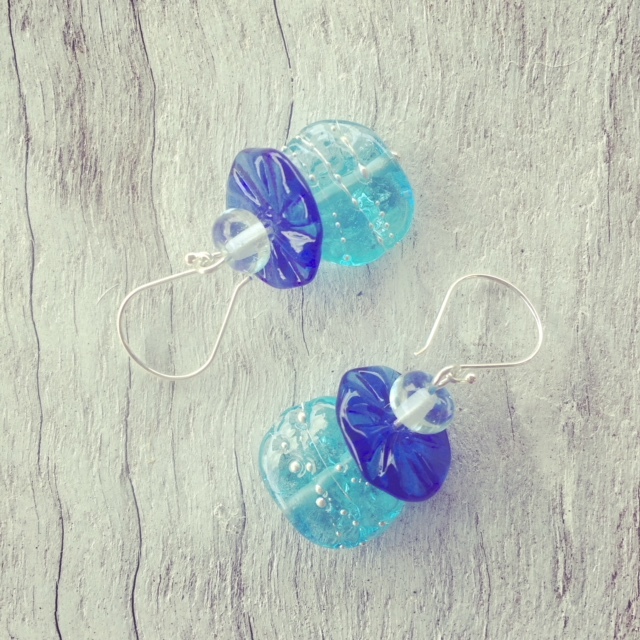 Another pair of pretty blue earrings…. 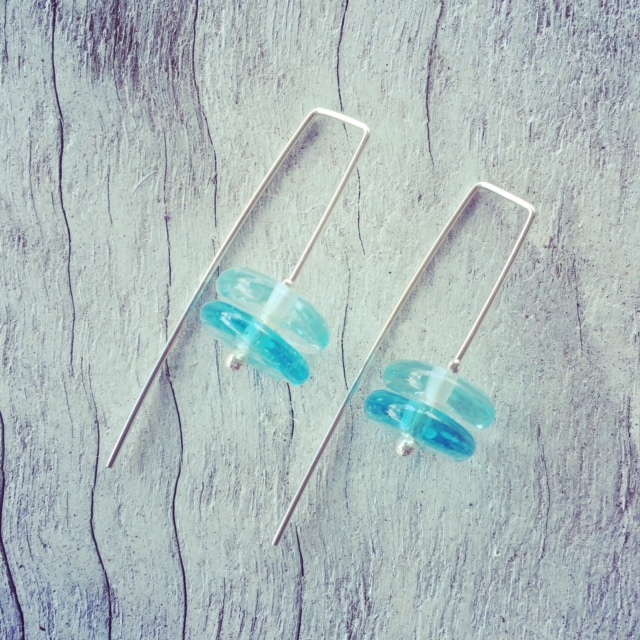 You might have guessed I was going to make the third pair of earrings in the series, right? 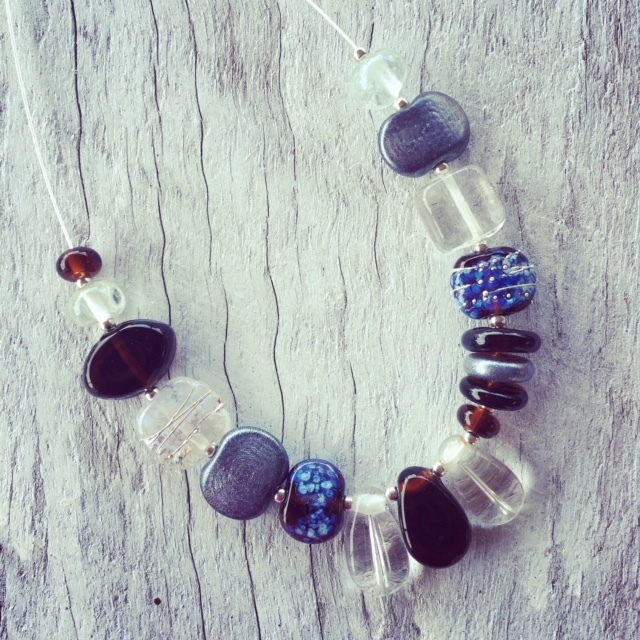 Beads made from vodka, wine and gin bottles. 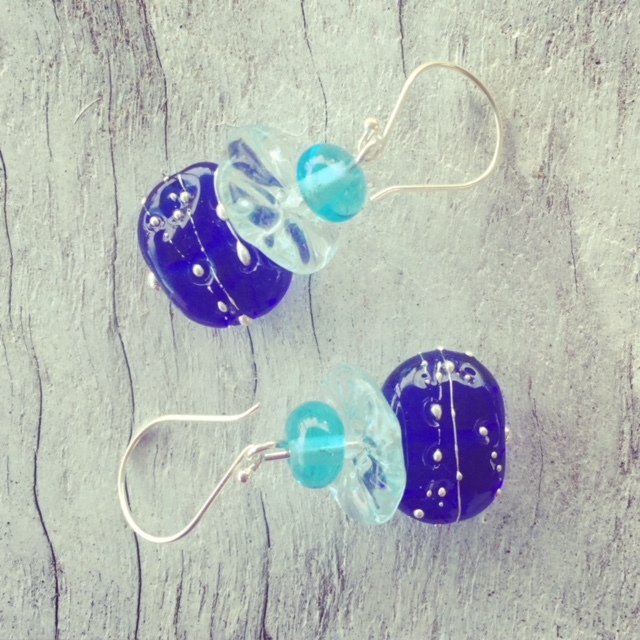 I’m on a bit of a roll with blue earrings at the moment! I love using all of these colours together. The beads were made from wine, gin and vodka bottles. 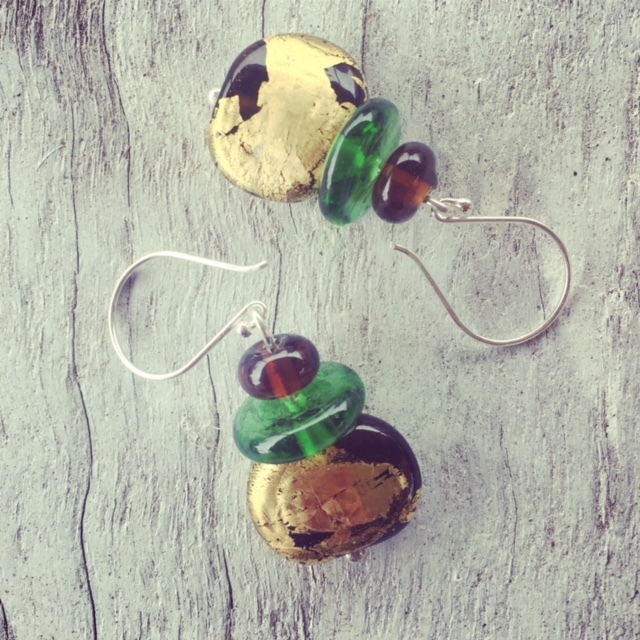 I have used wine, vodka and gin bottles to make the beads for this pair of earrings. I always love putting blue beads together. 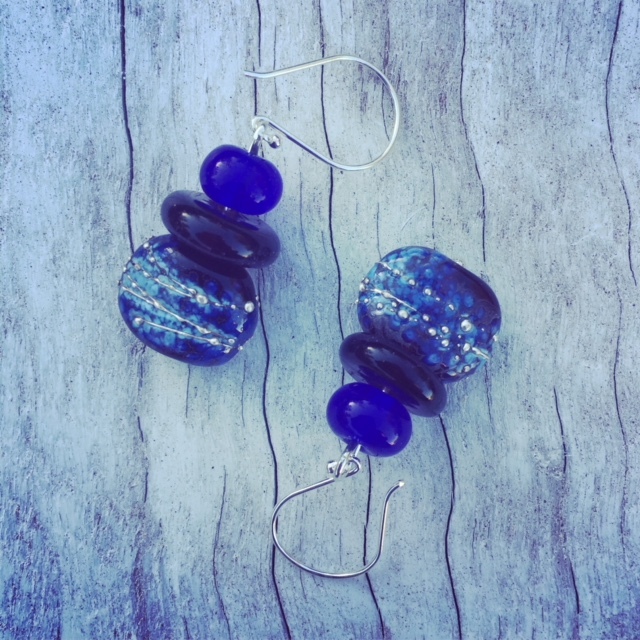 These earrings are seriously stunning! I love this colour combination! 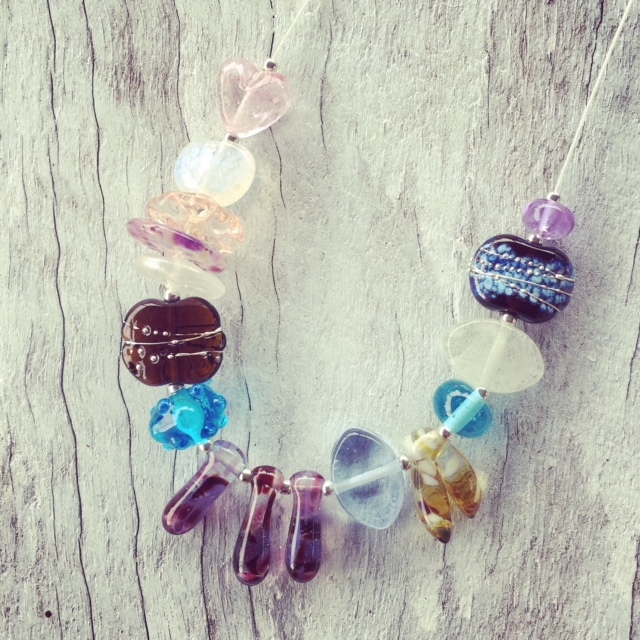 The beads are made from wine and gin bottles, and look really pretty and fresh together. 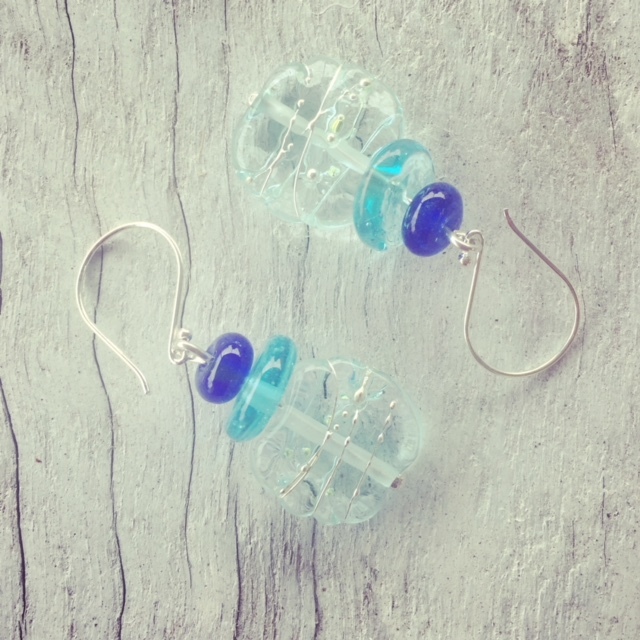 If you are searching for a present for someone who is blond-haired and blue eyed….these would be perfect! I wasn’t really sure where I was going with this necklace. I just started laying out all sorts of beads, and I kept thinking…mmm, I quite like these beads together. And I quite like the finished result. It will be available on Saturday at the Etsy Made Local market in Unley! I love that I get to take objects often destined for the bin, and turn them into kind of beautiful pieces of jewellery like this necklace. 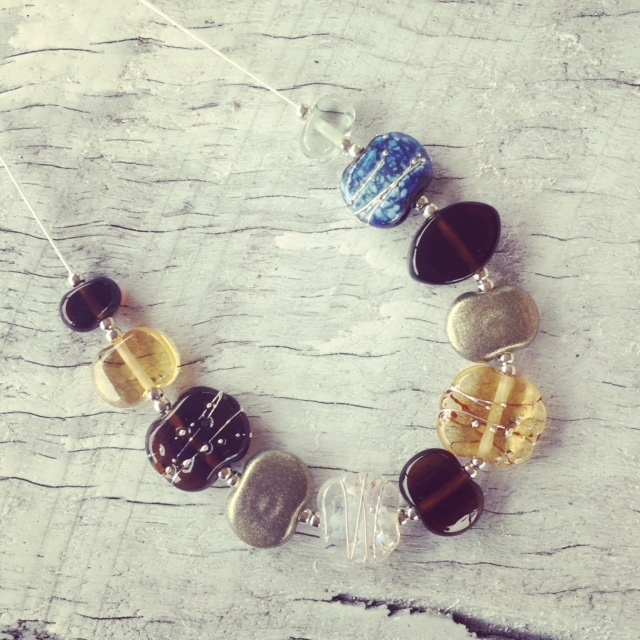 Beads were made from beer, gin and tonic bottles, and an old amber glass thrown in to the mix.